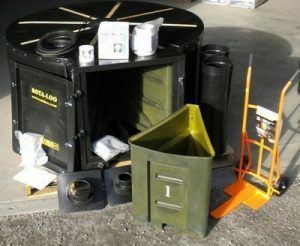 Rota-Loo Waterless Composting Toilet systems have been in operation for many years and are well known to meet or exceed the performance requirements of all State Health Authorities. 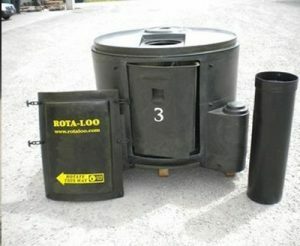 In order to conform with the latest requirements of State Authorities, and to give our customers further confidence in the product, Rota-Loo has gone through a rigorous process of testing and audits to prove its compliance to the Australian Standard AS1546.2:2008 for Waterless Composting Toilets. What we’ve always known to be a great Composting Toilet system has been proven yet again. For more information including state approvals and FAQs, please visit the Rota-loo website. 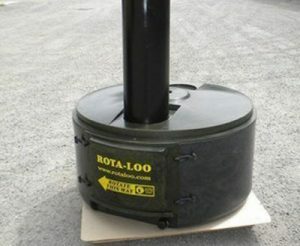 The Maxi2000 Rota-Loo is the largest size and often installed in remote park and tourist areas or commercial facilities were many people (bus-loads!) will use the toilet. It is designed for 2 pedestals (male & female) and normally installed with additional evaporating equipment to cope with high liquid loads expected. The largest domestic Rota-Loo is the 950. As its name suggests it physically stands 95cm tall and 120cm in diameter. The Rota-Loo 950 has more than twice the capacity of the 650 but is only 30cm taller. For continuous use we always recommend the Rota-Loo 950 first. In a good installation in an optimum environment, the 950 will cater for a large family of up to 8 people. The 950 also has the capacity to take two pedestals on the same unit. Please check with your distributor for the correct advice on which unit will best suit your needs.